Social media is a new way to use the web. It’s a trendy term to describe a new kind of mass media. It involves both listening, and talking. Blogging, tweeting, ‘friend request’ and fan pages. The lexicon of the modern world. Twitter is all the rage. Facebook has over 1 billion users. Anyone that has a product or service must be on these social channels. Our Social Media Marketing course in Durban will teach you how to create all the accounts, how to customise different pages and how to fully take advantage of these social networks. You will learn how to integrate the different feeds into your or your clients websites. Being able to build custom Facebook pages is a well sought after skill. Learn how to create engaging content and how to increase your fans and followers. You will also learn how to create additional pages within a custom Facebook page, basically building a mini website on Facebook. You will also learn how to create a competition with data capturing on Facebook. Finally we will look at blogging and how to incorporate all the social media widgets within your website or blog. This is a Great Social Media Marketing Course for students wanting to add to their list of services offered. 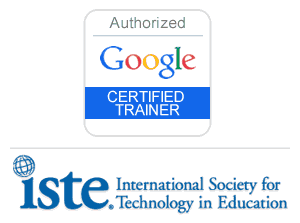 As with all our courses, this courses is also practical and easy to follow. Anyone interested in learning how to market any business using social network websites. Web Designers that want to offer social network marketing as a service. Business owners that wants to manage their own social identities. Anyone wanting to learn Social Media Marketing in Durban. 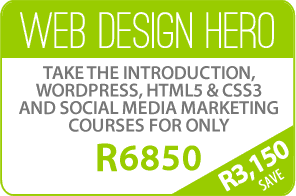 For this Social Media Marketing Course in Durban you must have a working knowledge of HTML & CSS as we use it a lot in this course. We will assume basic knowledge of using the internet. You should have a basic working knowledge of using either Windows or Mac systems. You should be familiar with popular Social Channels. You can always sit in for the same Social Media Marketing Course in Durban again at any time within a year for free. 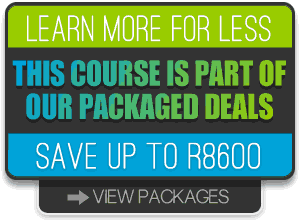 We have the best Social Media Marketing Course available in Durban. Learn Social Media the practical way. For this Social Media Marketing Course in Durban we supply detailed course notes and reference text. We try to provide sufficient supporting material so that you can return to your work place with sufficient confidence to permit further learning. You also get all course activity and files on a DVD disc at the end of your course. There is nothing worse than leaving a course and feeling left on your own. We like to ensure our customers have all the support and backup they need which includes 90 days unlimited support by phone or email. You also get lifetime support through our Resource Centre. You can also sit in again for the Social Media Marketing Course in Durban for free, within a year if you feel you need a refresher.